This rice dish is savory and works great as a side dish or main meal! Its buttery, savory, and spicy! I like this as the grains part of a power bowl too! Throw in some black beans and you got yourself a main meal that will keep you fueled. 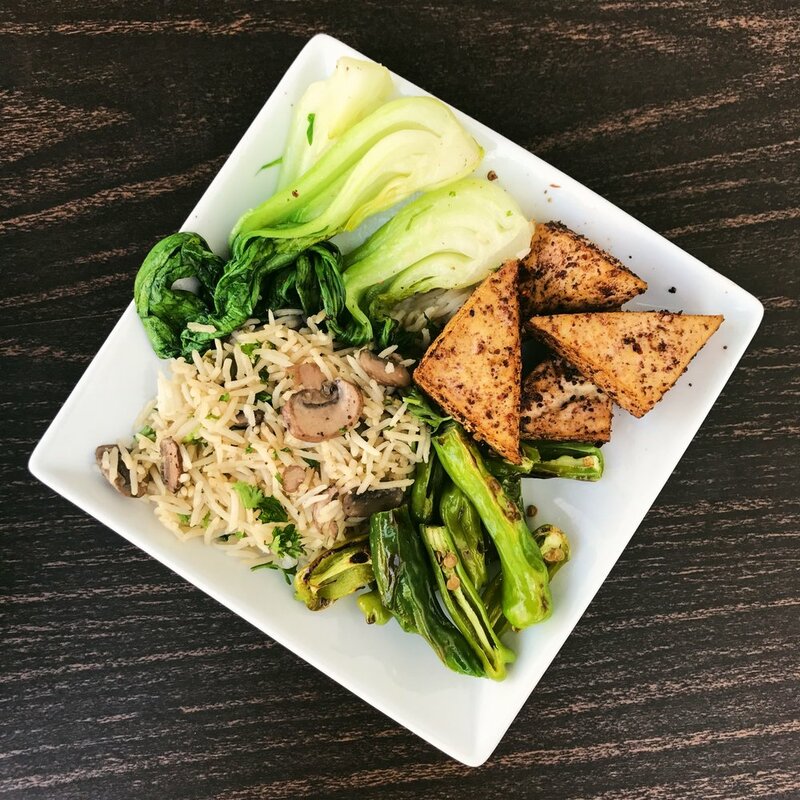 This week, the rice was paired with baby bok choy, tofu triangles, and blistered shishito peppers. What an awesome combo! Let me know if creating all the parts to this meal is something that you might be interested in seeing! Serve with your favorites or enjoy on its own! I used parsley in this instance, but I really love basil too!